1 x 13 x 10 in. Copyright ©1997. All rights reserved. 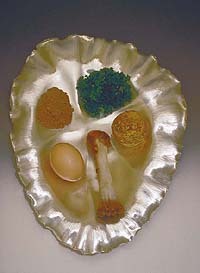 This image was located at: http://www.jewishmuseums.com/seder.html in June, 1997. It has since been removed.